Did you know you can now eat smoothies from a bowl? for some of you this might be something new and exciting! Smoothie bowls are one of my favourite things to make for breakfast! I find so much satisfaction in getting creative and turning my breakfast into something pretty. 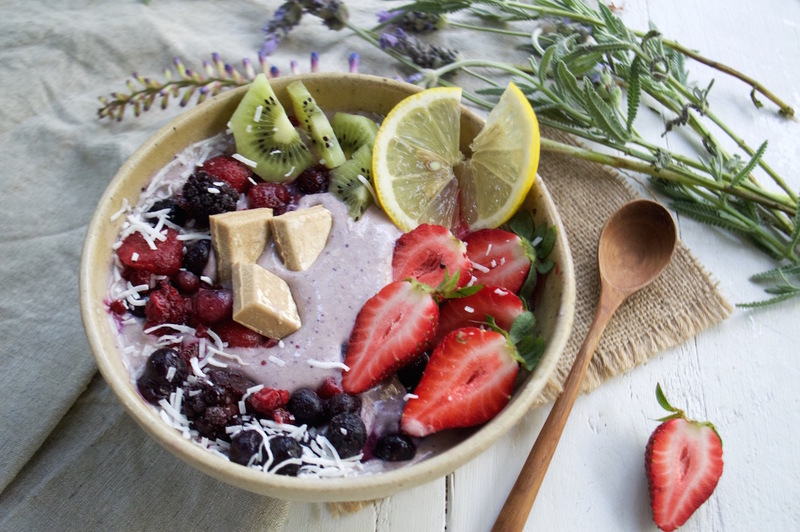 To make your smoothie bowl successful, it’s important that the actual smoothie is thick enough for the toppings to sit perfectly on top and not sink to the bottom (guilty of doing that before). Once you have the smoothie part sorted, you can pretty much add any of your favourite toppings. 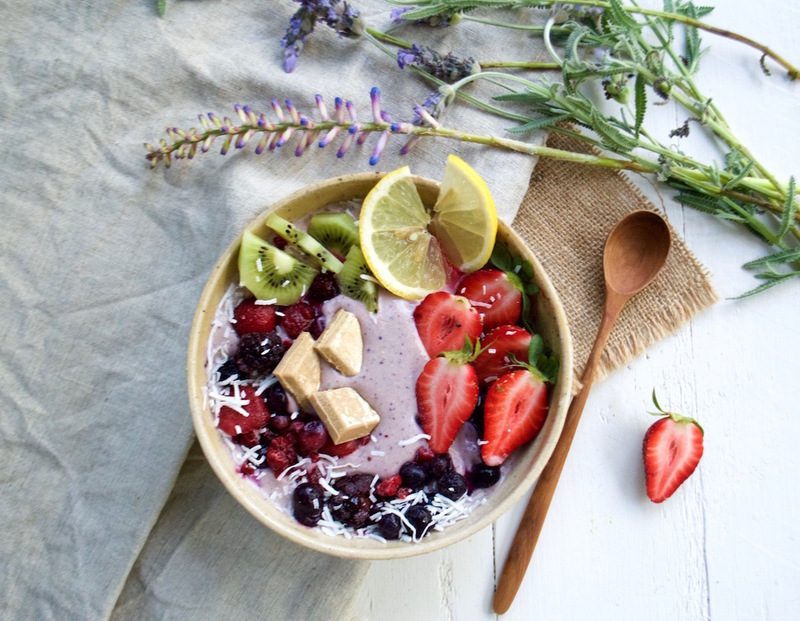 For this smoothie bowl I have kept it relatively simple, however, aim for having a mixture or fruits, nuts, nut butter or seeds, granola and occasional raw chocolate which makes your smoothie bowl even more special. Blend together cashews, coconut water, lemon rind, lemon juice, and vanilla until creamy. Add in banana, berries, and add in almond milk a bit at a time, add less milk if you want very thick otherwise add it all in. Pour into a bowl, add toppings and enjoy the deliciousness! Wow! After all I got a website from where I be able to genuinely take useful information concerning my study and knowledge.